Part of creating a Hygge environment is learning to love what you have, not what you want. What does Hygge mean? Hygge is a type of Danish lifestyle. Using your indoor environment as your main foundation to create a warm and comfy home. This Scandinavian design stems from living in long, cold winters with little light after 3pm. 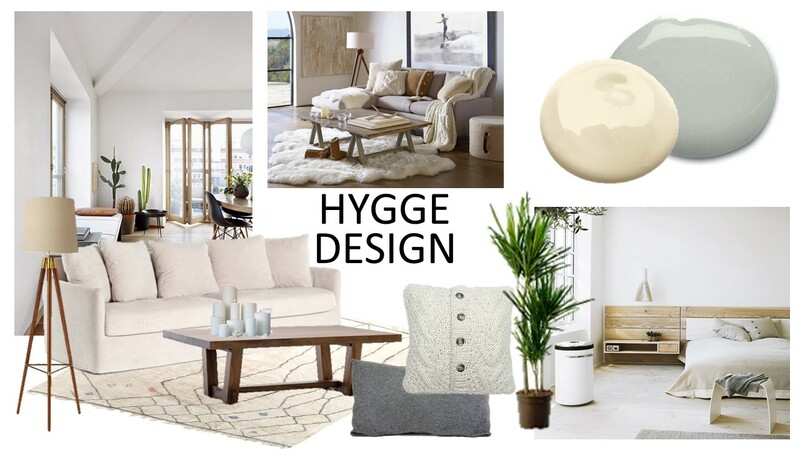 How can you make your home more Hygge? Let’s start by cleaning up and organizing. Not all Danish homes look like those you see in a magazine but, they are well aware of design and most families put a lot of care and attention into their home. Less is more! Incorporating wood finishes like warm walnut tones and natural oak are a great start! Surround yourself with well- chosen accessories, avoiding too much plastic and acrylic pieces. Candle light is a must! Candles are the most inexpensive way to create a cozy environment. Candles are always lit in a Danish homes the moment the sun goes down, especially during the cold winter months. Also consider pulling in some pure wool and cashmere throws and accent pillows. Tonal colored rugs with soft patterns can help define your new cozy space. As far as lighting and your overall ambience goes, it’s all about indirect lighting when creating a Hygge environment. Obviously make sure you can see in the dark (ha!) and think about putting most of your fixed lighting on dimmers. Music is another big part of creating a relaxing environment….just make sure it’s easy listening. Last but not least, appreciate who you are and what you have in life! This is hard when living the typical American lifestyle, since many of us have grown up constantly moving, running around after kids, and never really taking a break. We all need to take more time for ourselves, unwind and appreciate the simple things in life. Part of creating a Hygge environment is learning to love what you have, not what you want.